Christina Giuffre, 21, of Langhorne, Bucks County, was found Saturday morning. Middletown Township police said the woman was reported missing Wednesday after she didn't show up for her job at Retro Fitness in Levittown. Update, 9/1/18, 10:38 a.m.: Middletown Township Police Department have located Christina Giuffre in Montgomery County, after she was missing for over 48 hours. Police say she was not missing against her will. Authorities in Middletown Township are searching for a 21-year-old woman who went missing Wednesday after failing to report for her work shift at a local fitness center. 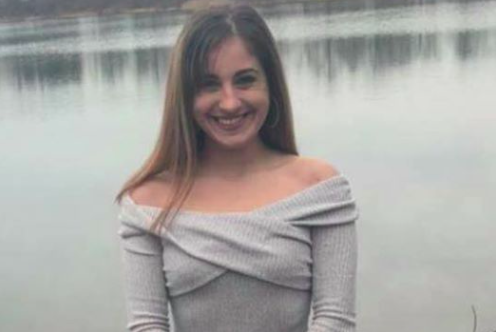 Investigators said Christina Giuffre, of the Forsythia Gate section of Langhorne, Bucks County, was last seen around 3 p.m. in the Croydon section of Bristol Township, according to a Facebook post shared by police. Giuffre was supposed to report to Retro Fitness on New Falls Road in Levittown around 5 p.m. She didn't show up and has not been seen since. Family, friends and police have been unable to make contact with her on her cell phone. Investigators said Giuffre drives a black Honda Civic with a Pennsylvania tag of KMN-0274. She was last seen wearing a red tank top and either white or grey pants. Giuffre is about five feet tall and weighs 95 pounds. Anyone with information on Giuffre's whereabouts is asked to contact Middletown Township police at (215) 949-1000. Those outside of Middletown Township should call 911.